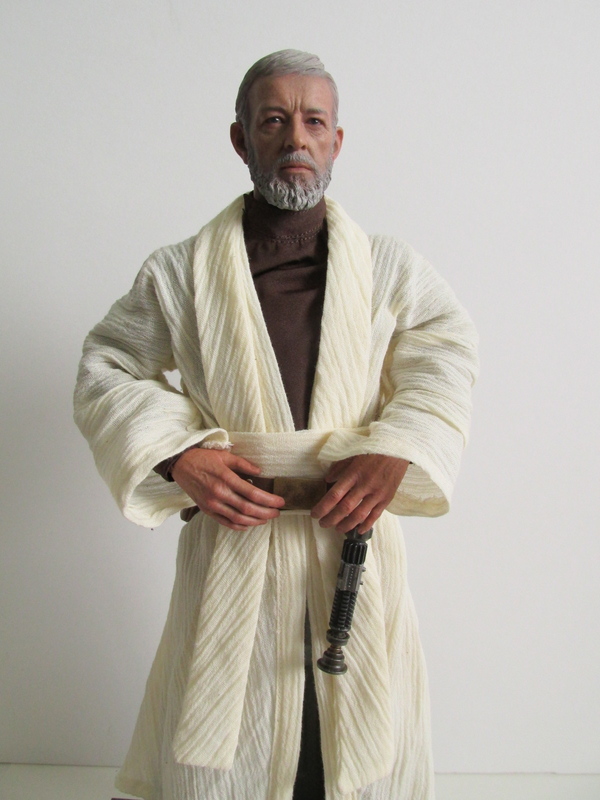 Hot Toys seems to have their Star Wars releases down pat and released this figure slightly early and somewhat on time. 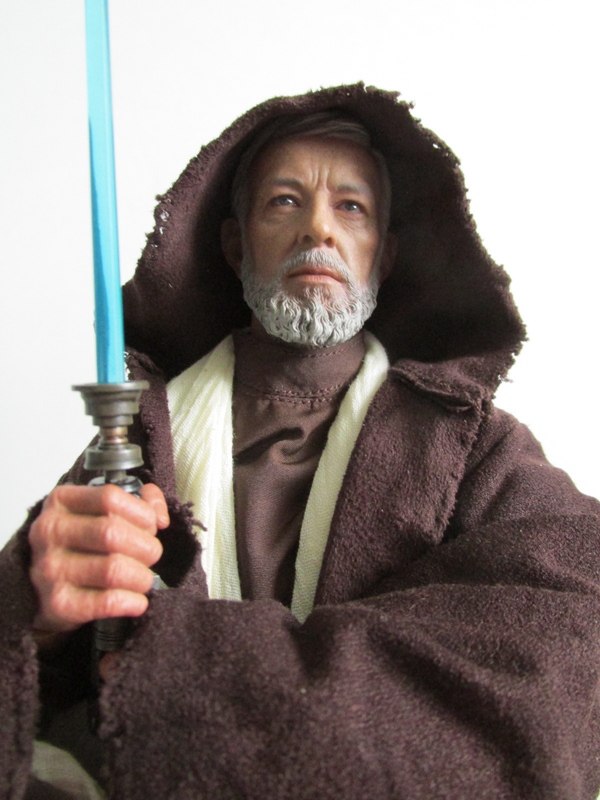 Obi-Wan is one of the latest releases from Hot Toy's Star Wars line, and I can say the force is strong with this one. Head sculpt wise, I think he looks like Obi-Wan and is a good rendition of the character. 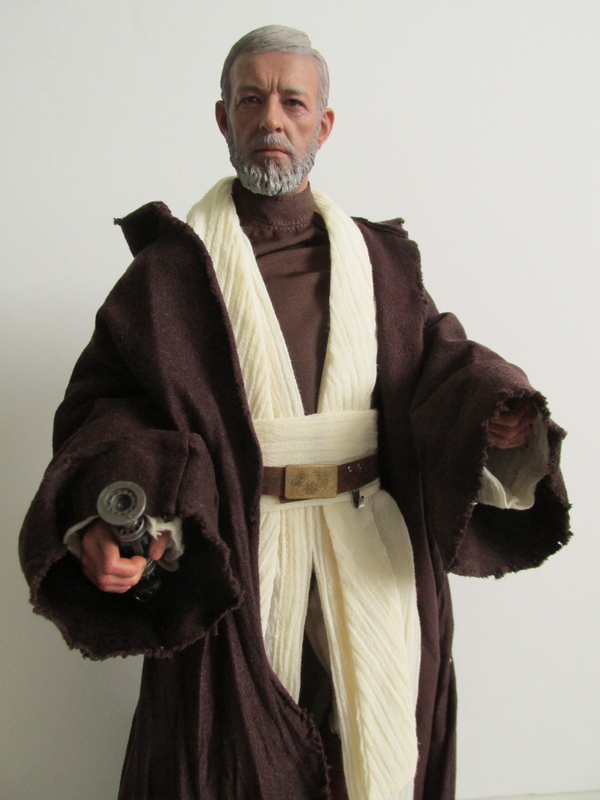 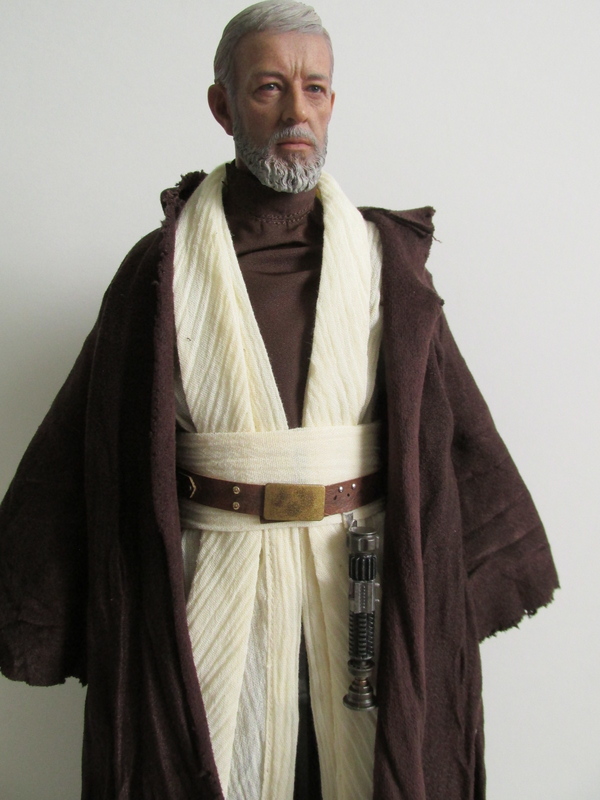 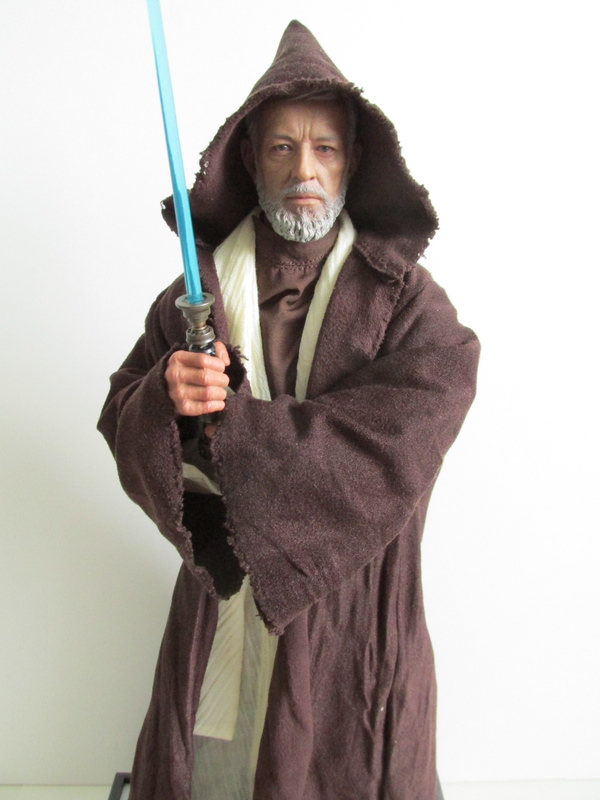 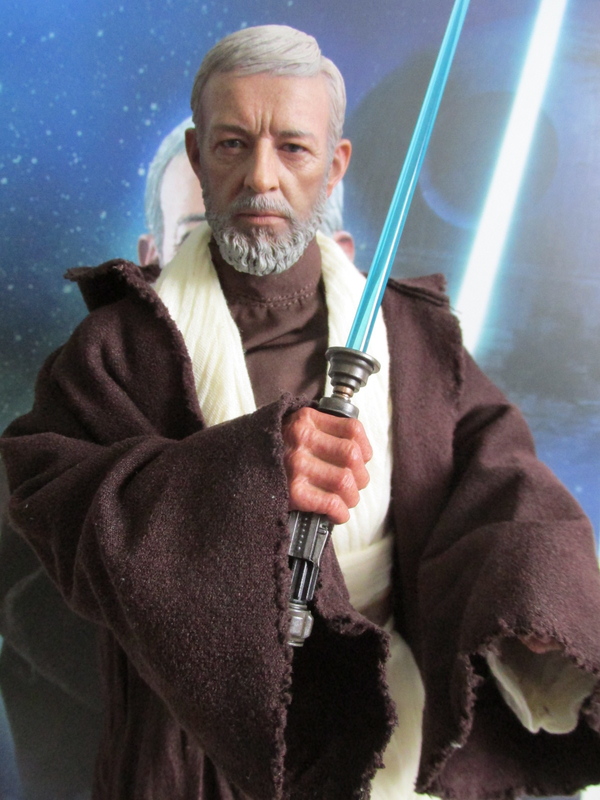 However, he doesn't exactly look like Alec Guinness and the head sculpt is slightly off. 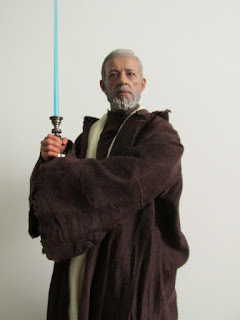 I think its because his beard was hard to sculpt hence capturing that authentic Alec Guinness look was hard to pull off. 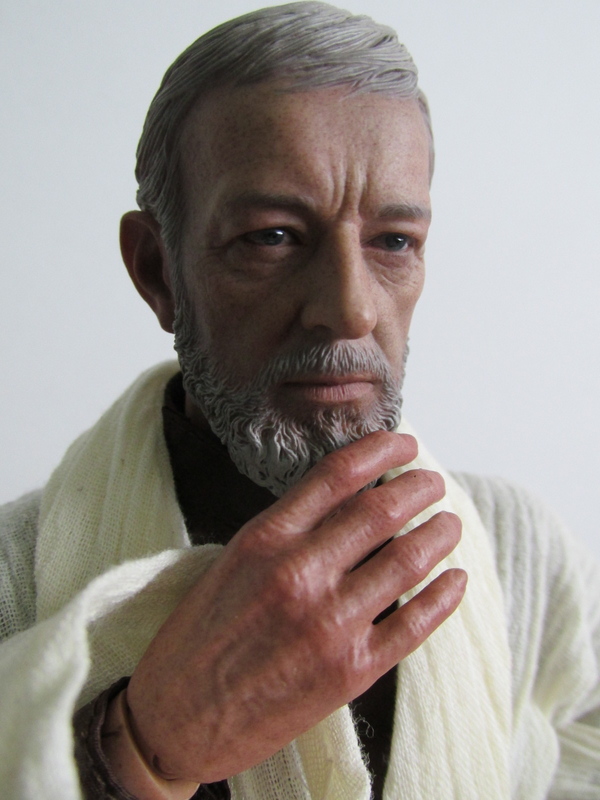 His beard was pretty wispy and wiry and that look can be hard to capture in a sculpt unless real hair is used. While all the usual attention to detail is there, I think the beard could be a culprit to nailing the likeness of Alec Guinness. All in all though, I think it still is a great figure, and I'm pleased with the overall results. 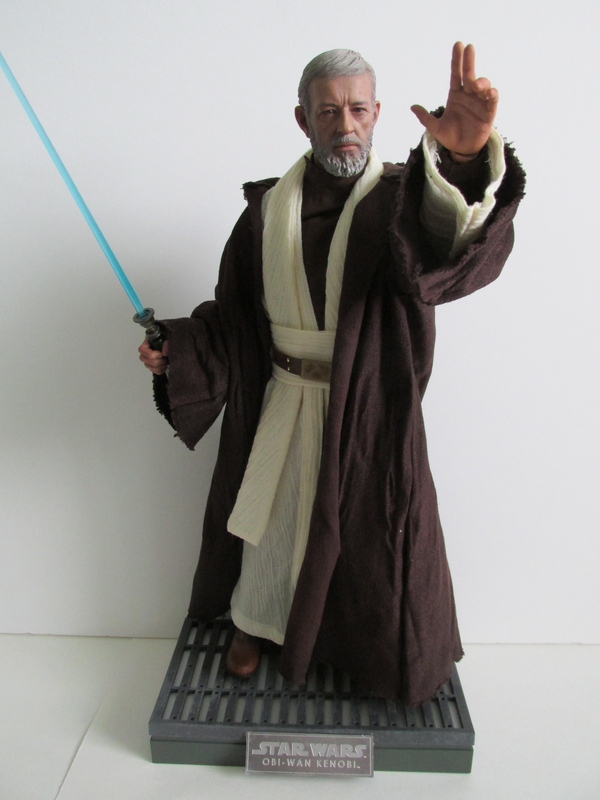 He doesn't come with really many accessories except the usual pair of hands, one left hand in a force gesture, lightsaber hilt that attaches to the belt, lightsaber with no batteries, lightsaber blade, lightsaber right hand with light up functionality, and the base. The lightsaber looks cool and the hilt has everything you would expect in a lightsaber. 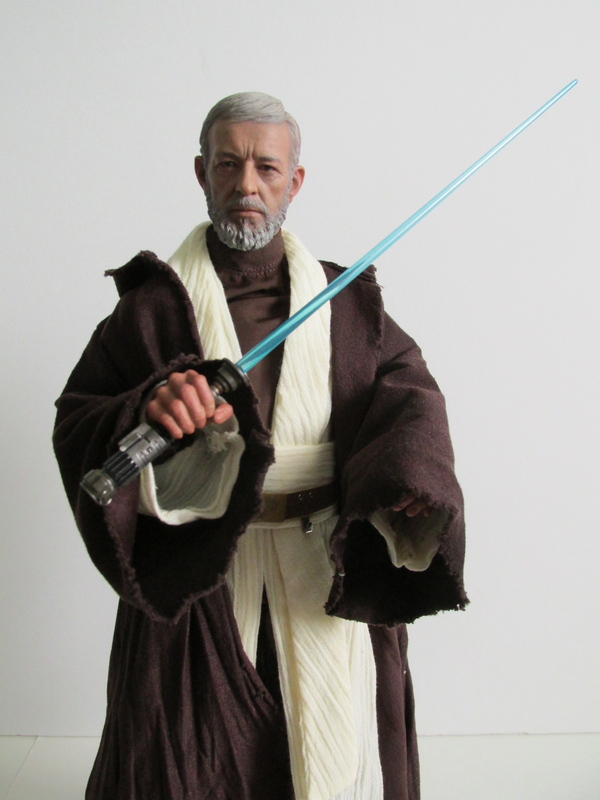 Each lightsaber has a specific function for the figure, and I recommend reading the instructions that come with the figure for the specifics. 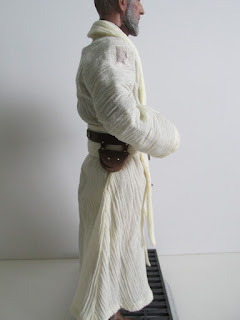 While the light up blade does look cool, it just seemed like to much of a hassle to put on since you have to roll up the tight sleeves under the robe and attach it to the elbow joint. I'm also not a fan of putting in batteries on the figures because of possible battery leakage in the future. 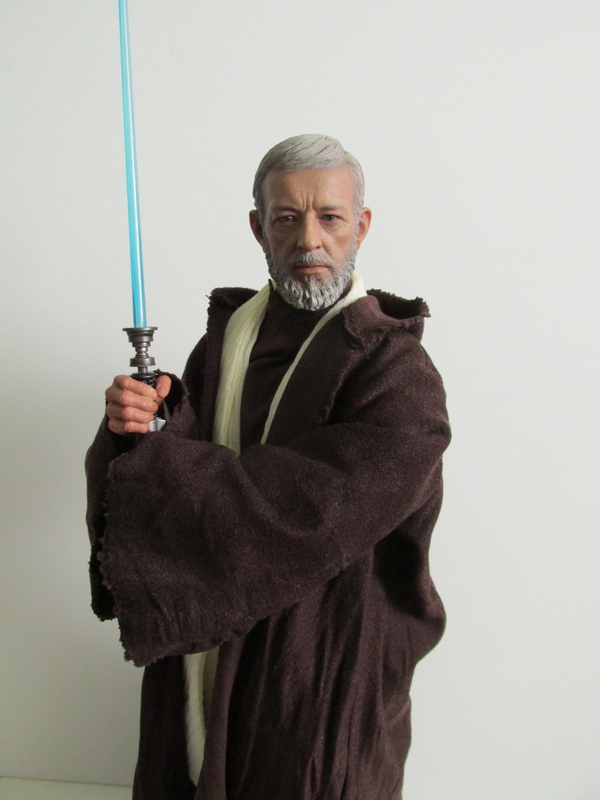 Truthfully, the blade is translucent enough to cheat the lighting effect, and I'm okay with that. 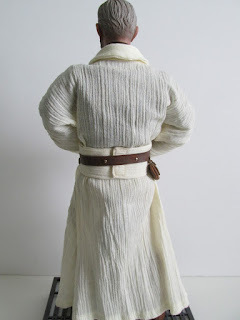 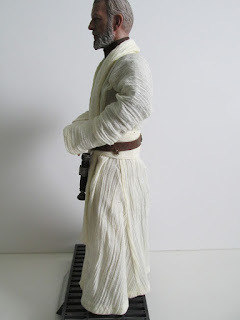 The robe does come off and essentially you can have two looks for Obi-Wan. 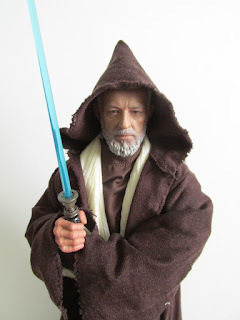 The robeless look is another great classic look of the character and can easily display him like that if you choose. 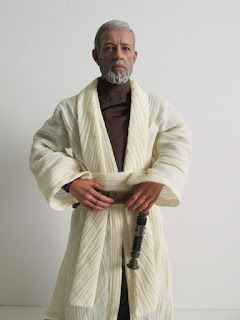 His robe also comes off very easily and can also be put back on with no fuss. Another alternative is his hooded look which is seen during his battle with Darth Vader. Again, this is another great take on the character and is quite a striking pose. 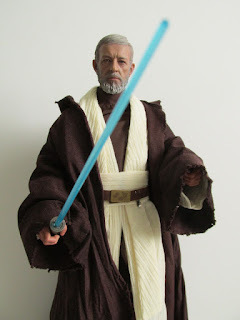 Star Wars fans shouldn't need too much convincing to acquire the classic character of Obi-Wan. 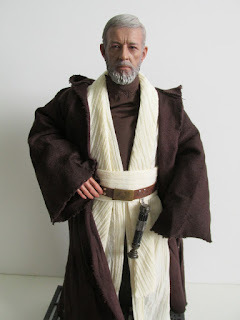 Here's hoping we get Luke and Darth Vader soon to go with this character!